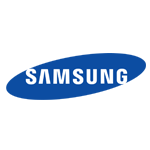 MWC Shanghai started today and Samsung is on the floor making some announcements. The first one is the growth of its ISOCELL technology to become a standalone image sensor brand, with 4 new sub-brands that cater to different devices and markets. The aim is to make it easier for customers to recognize the main strength and features of future devices' cameras. The 4 sub-brands are Bright for great low-light images, Fast for quick autofocus even in the dark, Slim for thin sensors that still deliver great photos in slim devices, and Dual which have combinations of different sensors to bring multiple features in one device. At the International Solid-State Circuits Conference this week, Sony took the time to reveal the first 3-layer stacked CMOS sensor (with DRAM) for smartphones ever, which has the potential to lend itself to some amazing leaps in mobile photography. 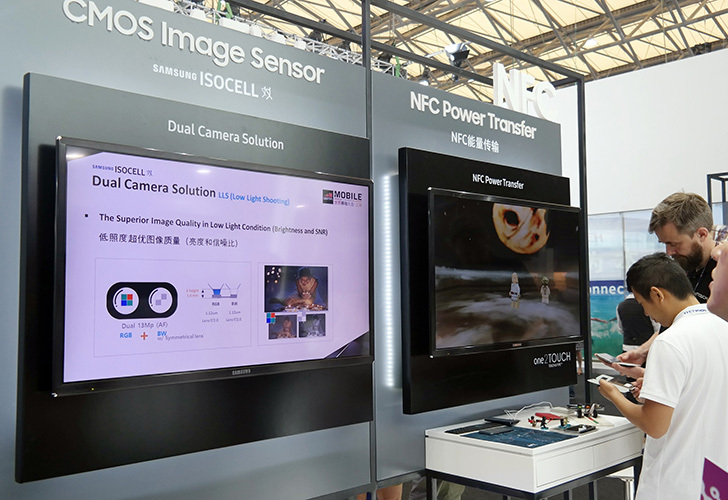 Samsung has announced a new advanced pixel technology for CMOS image sensors called ISOCELL that it promises will get higher color fidelity in poor lighting conditions. This new technology has currently been developed for use in an 8MP camera, and it's scheduled to enter mass production in Q4 2013. We can reasonably expect this advancement to appear in future Galaxy products down the road. 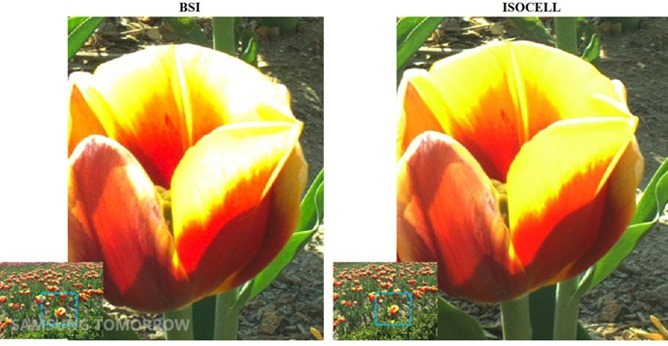 The flower on the right shows more yellows than the one on the left, a detail that makes more of a difference once you pan out to view the entire image (an option we unfortunately don't have with the one picture Samsung provided).